Gram Theft Burrito or Gram Theft Byrd – You Decide? 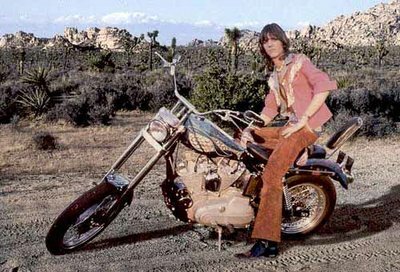 Gram Parsons was considered a pioneer of the country rock movement of the late 1960’s into the 1970’s until his death on September 19, 1973 at the age of 26. Though Gram achieved some success in his lifetime, he was never a superstar — but he did influence many bands including The Eagles and The Rolling Stones. He was a member of two country rock bands, The Byrds and The Flying Burrito Brothers; he later became a solo artist, and often performed with Emmylou Harris. In the years after his death he has become a legend. 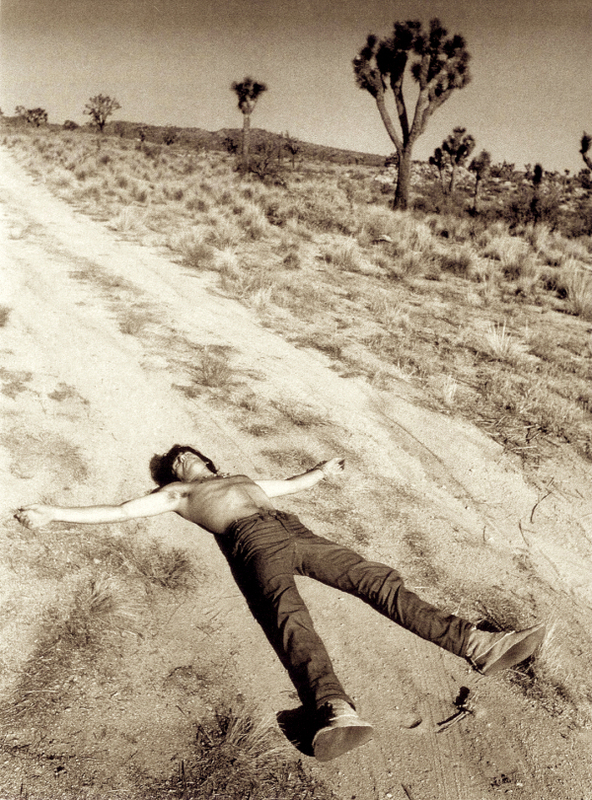 You may ask, why is this a DesertUSA blog and what does Gram Parsons have to do with the Mojave Desert? 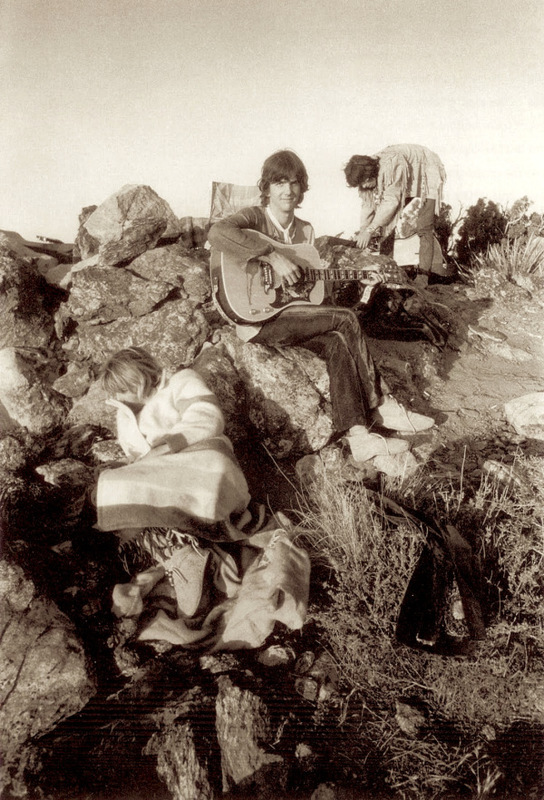 Keep reading to find out a small part of the interesting life story of a Byrd and a Burrito named Gram Parsons and how it is related to the Mojave Desert. 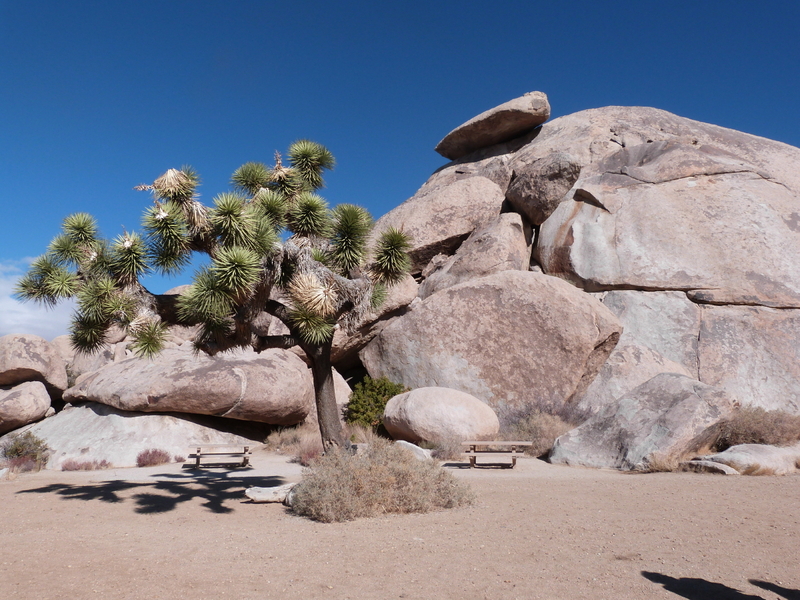 In the late 1960’s, the Joshua Tree National Monument, later to become a National Park, became the hangout for many celebrities and musicians because this out of the way haven was only a few hours drive from Los Angeles. 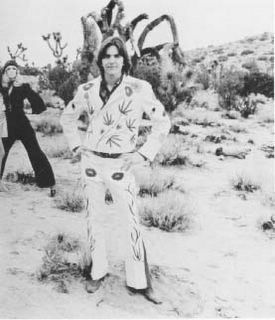 Gram Parsons was introduced to the Mojave Desert around this time and would frequent the Joshua Tree area on the weekends, often accompanied by his road manager, Phil Kaufman, and Keith Richards of the Rolling Stones; in-fact, some of Gram’s country influence can be heard in music of The Rolling Stones at that time, in the early 1970’s. Gram loved the Hi-Desert and did many photo shoots in it. 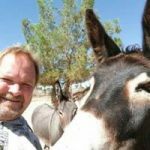 He used to hang out at local bars and would often stay at the Joshua Tree Inn. He would visit the National Monument at night looking at the stars and searching the heavens for UFOs. 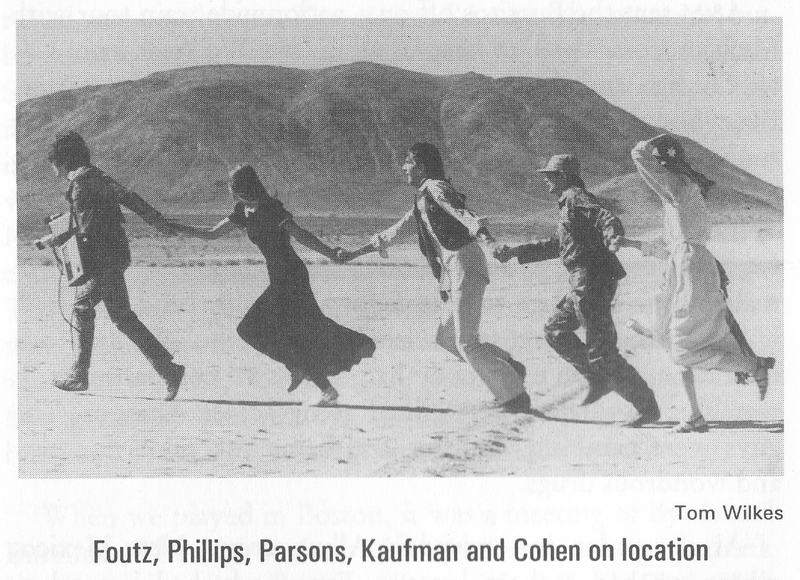 During a friend’s funeral in 1973, a few months before Parsons’ own death, it was discussed between Parsons and Kaufman that if either of them were to die prematurely, they wanted their body taken to the desert at Joshua Tree. They were to have one last drink with the corpse and then burn the body in the desert. This was the pact that led to the events I will now describe. 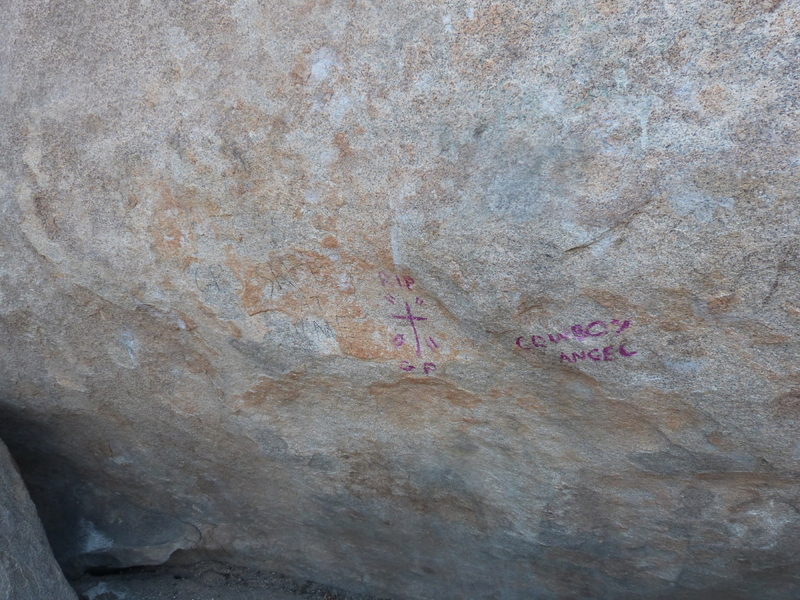 A few months after this pact had been discussed Gram checked into room 8 at the Joshua Tree Inn on September 17th, 1973 for a couple days with a few friends. During this visit Gram consumed alot of drugs and alcohol. 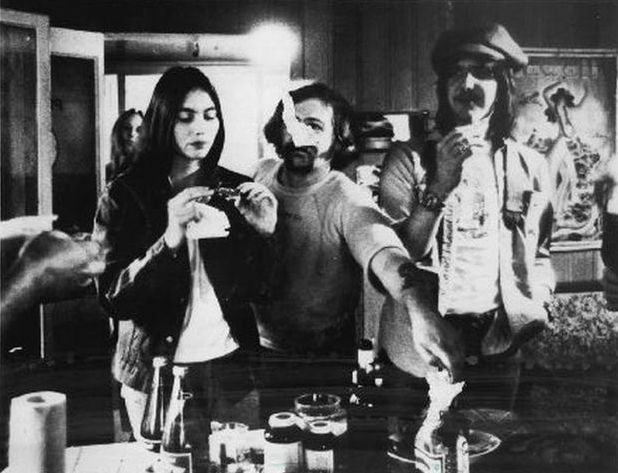 Kaufman was not there on this trip, and after two days of heavy partying, on the 19th Gram overdosed on both morphine and alcohol. 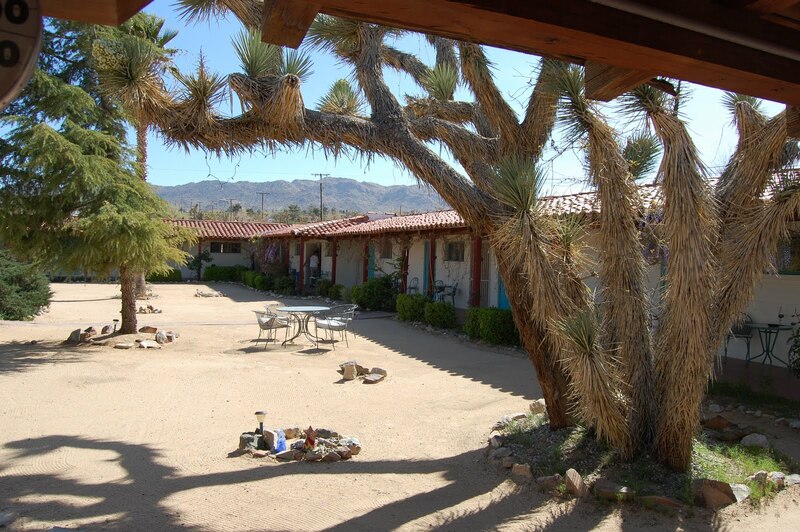 As Kaufman was Parsons’ road manager and good friend, he was immediately called but by the time he got to the Inn, Gram’s body was already removed and was in the morgue of the hospital in Yucca Valley. Kaufman gathered up Gram’s belongings, cleaned up any drug evidence and headed back home to Los Angeles. After a day of drinking and thinking about their pact and remembering Gram’s dislike for his step-father in Louisiana and also thinking of his words at the friend’s funeral a few months earlier that he had not wanted a long, depressing, religious service with family and friends, Kaufman went into action. Kaufman called the mortuary in Yucca Valley and found out that the body would be driven to the Los Angeles International Airport and then flown on Continental Airlines to New Orleans. He called the airline’s mortuary service and found out that the body would arrive that evening, then recruited several friends that knew about the pact and borrowed a hearse that was used for camping trips. It had no license plates and several broken windows, but he thought that it would do. They tried on suits, but decided they looked so ridiculous that they changed into their tour clothes, Levi’s, cowboy boots, cowboy hats, and jackets with “Sin City” stitched on the back. They loaded the hearse up with beer and Jack Daniels and headed for the airport. Kaufman and his friend Michael Martin arrived at the loading dock just as a flatbed truck rolled up with the Parsons casket. A drunken Kaufman somehow persuaded an airline employee that the Parsons family had changed its plans and wanted to ship the body privately on a chartered flight. While Kaufman was in the office signing the paperwork with a phony name a policeman pulled up blocking the hangar door. Seeing this Kaufman was sure that he would be caught but the officer suspected nothing, he just sat there. Kaufman walked over toward him and waved his copies of the paperwork and said, “hey, can you move that car”? The officer apologized and moved the car and then actually helped him load the casket onto a gurney and into the back of the unlicensed, liquor filled hearse. Martin got in the hearse and attempted to drive out of the hangar only to run into the wall on his way out. The officer observed all this, and commented, “I wouldn’t want to be in your shoes now”, then he left. The two drunk body snatchers left the airport with the body of their friend; they stopped at a gas station in Cabazon near the Interstate 10 dinosaurs in the years before Casino Morongo existed. 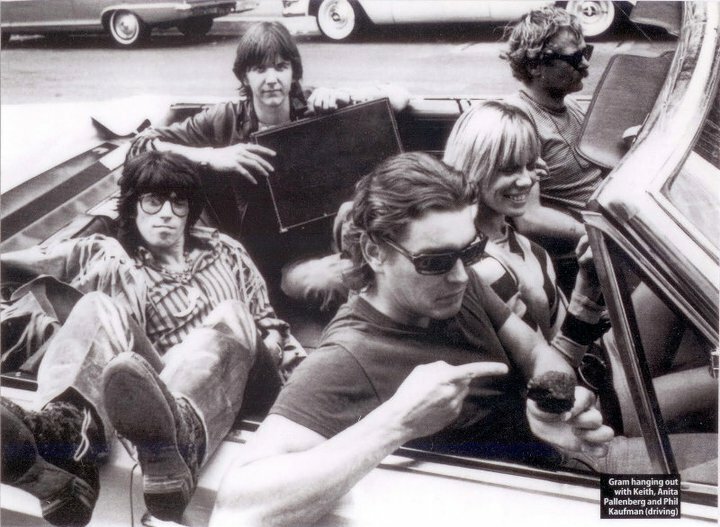 They filled a gas can and they headed back to Joshua Tree with the body of Gram Parsons. 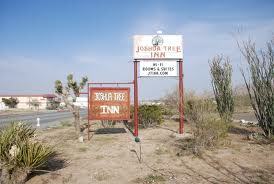 They reached Joshua Tree and drove until they were too drunk to drive any farther. 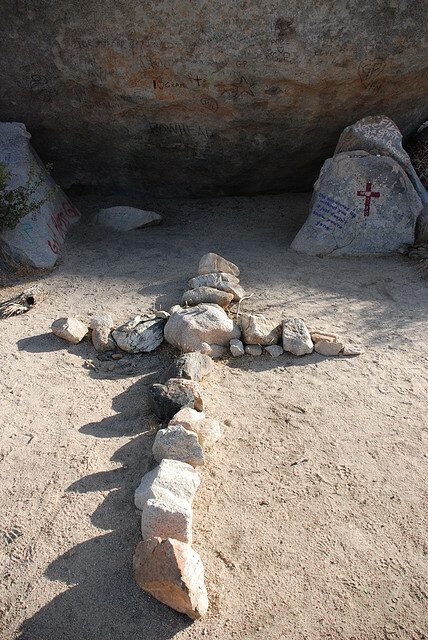 They stopped at Cap Rock in The Joshua Tree National Monument, a landmark geological formation, and unloaded their friend’s coffin, then Kaufman saw car lights in the distance and concluded the police were coming. He quickly opened the casket, played a personal joke on the dead Parsons that they used to do to each other in life, doused Gram with the gasoline and threw a match in the casket. The two watched as a giant fireball rose from the coffin, the skin on Grams naked body began blistering, the ashes rising into the desert night. As the headlights in the distance got closer the pair quickly drove off and headed for home in Los Angeles. After a trip home filled with close calls, Kaufman and Martin laid low. The morning after their return, the newspapers were full of the story of the rock star’s hijacked and burnt corpse, speculating that the amateur cremation may have been a satanic ritual. Kaufman knew the police were looking for him, so after a few weeks, he and Martin just turned themselves in. They appeared in Court on Parsons’ 27th birthday, November 5, 1973. At the time there was no law against stealing a corpse and since a corpse has no intrinsic value, the two were charged with misdemeanor theft for stealing the coffin and given a slap on the wrist, $708 in damages for the coffin, and a $300 fine for each of the body snatchers. A few years after the incident, Kaufman ran into Keith Richards and Keith thanked him and said “I heard that you took care of our pal”. Kaufman’s adventure has been legendary in rock and country music circles ever since. 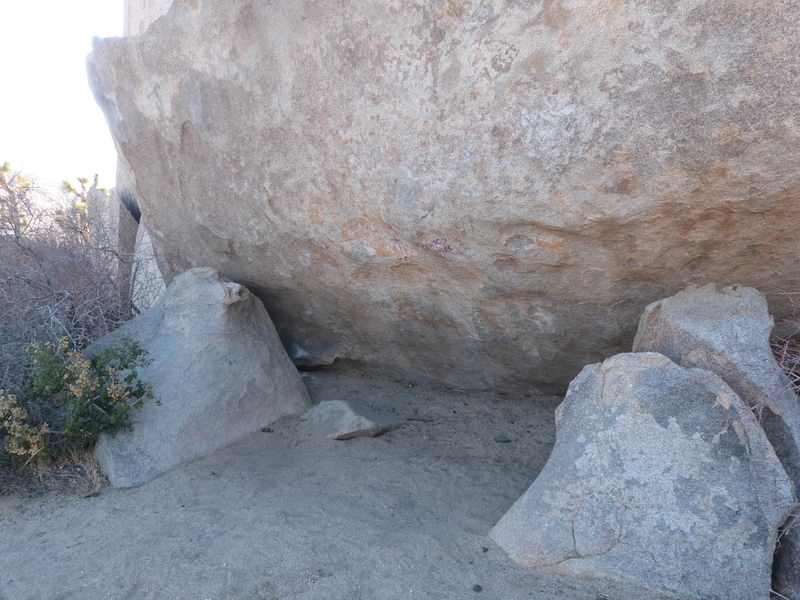 Over the years there have been books, movies and many discussions of this incident that began in Joshua Tree, continued in Los Angeles and ended up back in Joshua Tree. 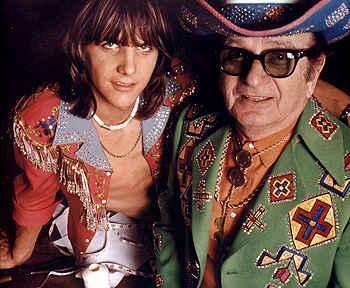 There are yearly concerts and have been many tribute albums to Gram Parsons. 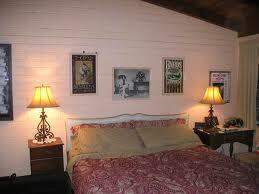 People visit and intentionally stay in room 8 at the Joshua Tree Inn, even holding seances in the room. 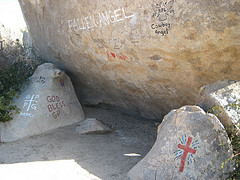 The cremation area at Cap Rock in Joshua Tree National Park still has people visit the spot but being a National Park all personal monuments to Gram are removed by the Park, so the site always looks different as fans make pilgrimages, leave items, paint on the boulders to leave some kind of remembrance, then they are removed by the Park and the cycle begins again. What became of Gram’s famous rhinestone studded Nudie suit? 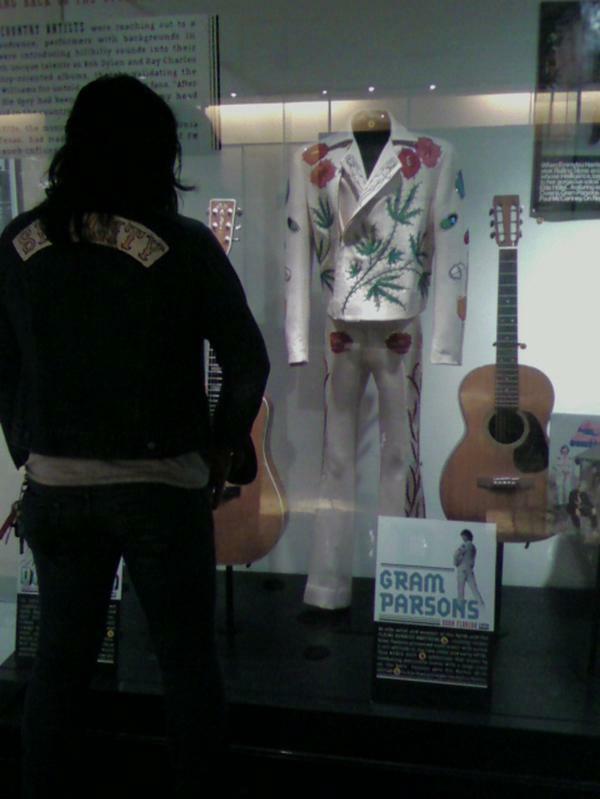 It resides in the country music hall of fame in Nashville Tennessee. I suppose you can say that Gram became larger than life after his young life ended as happens to many musicians that die at a young age. 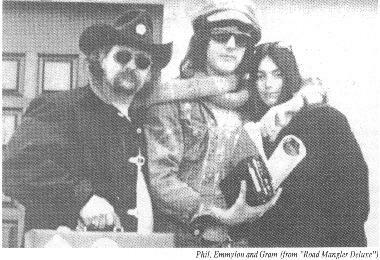 Now you know the story of the theft of a Burrito and the theft of a Byrd that are actually one and the same, about the theft of Gram Parsons in 1973. Interesting! I hope that everyone had a happy Labor Day,plus I also hope that they have a great and safe weekend! Thanks Mike, I hope yours was great as well.